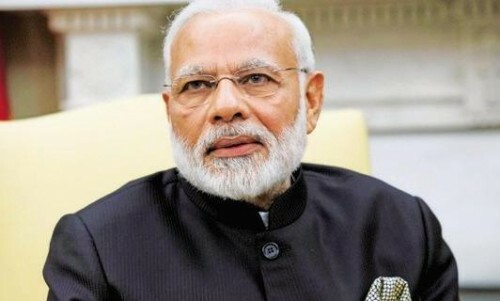 Kathmandu : Stating that all countries of Bimstec seek peace and prosperity, Indian Prime Minister Narendra Modi on Thursday said that this will be possible only if there is connectivity in all forms between member states of the regional bloc. "Each of our countries seek peace, prosperity and happiness, but in today's inter-connected world, we cannot achieve this alone," Modi told the inaugural session of the Fourth Bay of Bengal Initiative for Multi-Sectoral Technical and Economic Cooperation (Bimstec) Summit here. "We have to move together, help each other and complement each other's efforts. "I believe that the biggest opportunity for this is connectivity - trade connectivity, economic connectivity, transport connectivity, digital connectivity and people-to-people connectivity." It comprises seven countries lying in the littoral and adjacent areas of the Bay of Bengal -- Bangladesh, Bhutan, India, Myanmar, Nepal, Sri Lanka and Thailand. The bloc brings together 1.6 billion people, or 22 per cent of the world's population, and has a combined GDP of $2.8 trillion. "So it comes as no surprise that India's Neighbourhood First Policy and Act East Policy, both converge in the Bay of Bengal." "Our countries are mostly agriculture-centric and are fighting the fears of climate change," he said. "In this connection, India will host an international conference on agricultural, research, education and development." "Along with this, we will also offer short-term courses for tourism, environment, disaster management, renewable energy, agriculture, trade and WTO under ITEC (Indian Technical and Economic Cooperation)," Modi said. "For this, cooperation and coordination between our countries in terms of humanitarian assistance and disaster relief efforts are necessary," Modi said. Calling for strong steps to strengthen regional security cooperation, he welcomed the Bimstec Multinational Military Field Training Exercise and army chiefs' conclave to be held next month. Stating that all nations in the region had faced the problems of terrorism, trans-national crimes connected with terror networks and drug trafficking, he said all these countries should fight the issues unitedly.